Ships on hang card. Hang card will have shelf wear and may have hand writtien pricing, inventory or price stickers or sticker remnants. Lots of great detail on this MLB mesh LA Dodgers team dog jersey. Designed to look authentic in LA Dodgers team colors with the team name and player number '01' emblazoned across the back in screen print, sewn on "Property Of" tag where you can write your dog's name and embroidered MLB logo. It buttons in the front for easier on and off. Consult size charts before ordering. Measure your dog from base of neck to base of tail. 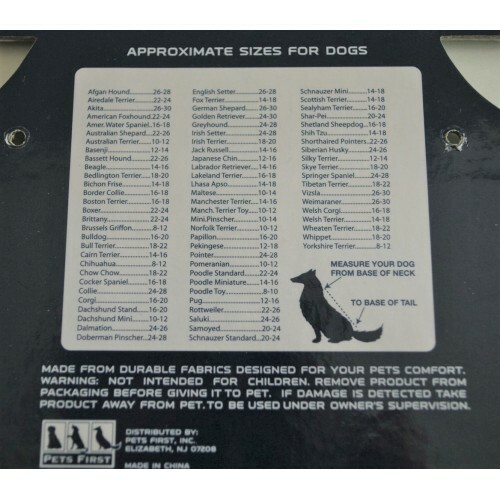 If your dog is extra furry, you may need a larger size. Made of 100% wrinkle resistant polyester. Machine washable: Follow sewn in care instructions carefully. Made from durable fabrics designed for your pet's comfort. Not intended for children and to be used only under owner's supervision.